Commander Eric Tufnell RN (1888-1979). 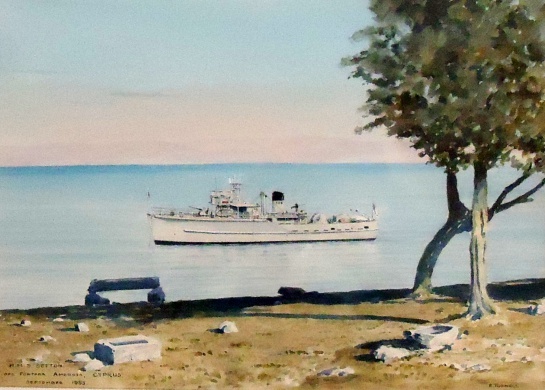 Watercolour signed and annotated (LL) "HMS SEFTON off Fontana Amorosa, Cyprus, Sepember 1955". Provenance: from the estate of the late Rear Admiral John Templeton-Cothill CB, late Flag Officer Malta. 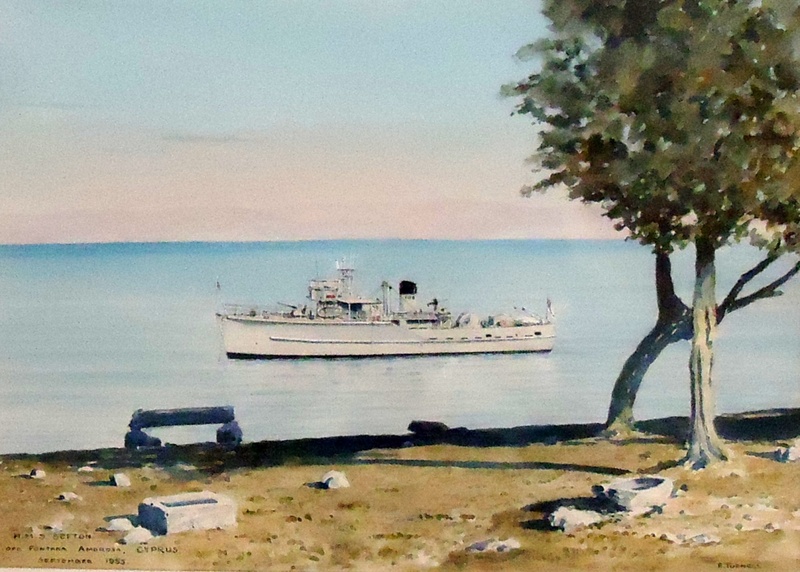 The admiral was Commanding Officer of SEFTON and Senior Officer 108th Minesweeping Squadron at the time of this painting by Eric Tufnell.